I just LOVE this time of year! College basketball's post-season is about to start; the crack of the bat and the smell of new glove leather is in the air in Arizona and Florida as Spring Training gets underway; and the Lakers are starting to play together again! It must be getting near springtime! The cool new Nikon D70 is $1299.00 with the 18-70mm f/3.5-4.5 zoom Nikkor lens) and $999.00 for just the body only. We expect to see delivery soon on two new exciting zooms from Nikon, the 200-400mm f/4 and the 17-55mm f/2.8 …give me a call for special pricing information for Sports Shooter readers on these lenses. News from Canon is all about the recently announced Canon1D Mark II … I hope to start seeing delivery of this highly - anticipated camera sometime in March. To get your name on the advance purchase list, contact me or one of the other helpful sales representatives at Samy's, Make sure to tell them that "Sports Shooter sent me!" Canon also has a couple of new lens that will be of interest to sports and news shooters with the 28-300mm f/3.5-5.6 IS USM being of special note. 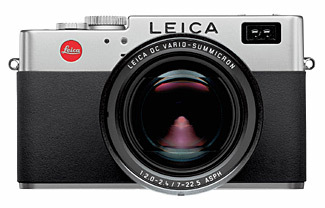 We have in stock a couple of new digital cameras, the Minolta A2 8 - megapixel SLR and much talked-about "digital - rangefinder" the Leica Digilux 2. Samy's is an authorized Apple dealer and we have in stock the new cool iPod mini. They come in five different colors and hold 4 gigs of music. If you're looking for a gift for that someone special … or something to help you through those long flights (or waits in the airport), an iPod is what you need! Lexar has announced a new line of compact flash cards, rated at a whopping 80x! Remember with the new digital cameras sporting larger files, faster cards with larger capacity are a big consideration. Give one of our digital specialists a call to find out more about what speedier, larger media will do for you. That's all for now … please check out our specials on SportsShooter.com and if you are in the Southern California area, please drop by one of our five retail stores.